Candidates have to apply online. Education qualification should have MBA or Postgraduation degree from any reputed university. Applicants also have 2-4 year working experience in related field. Job areas is anywhere in Bangladesh. Applicant age should 35 years. The last date of apply on 15 May 2018. Applicant must have flxiablity to work anywhere within country. 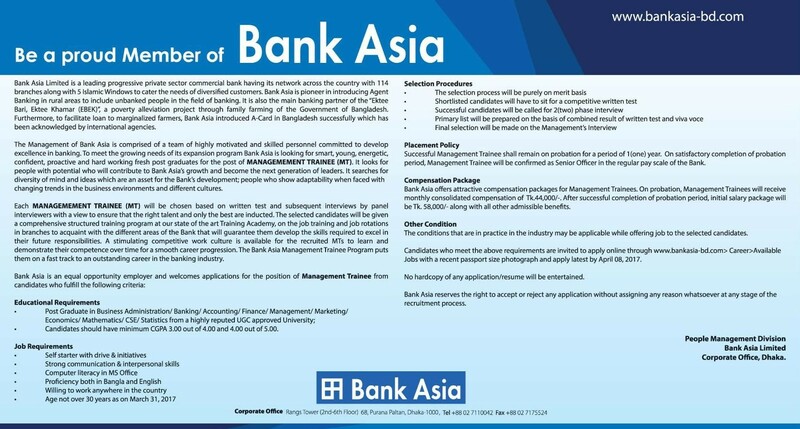 See the details job circular of Bank Asia Limited from below.